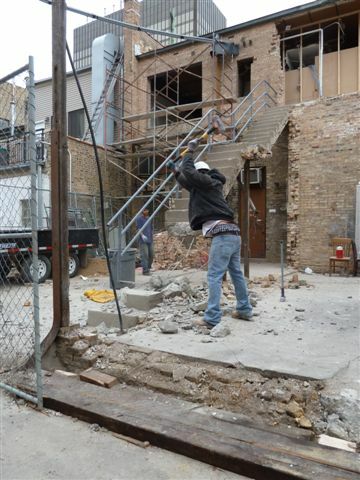 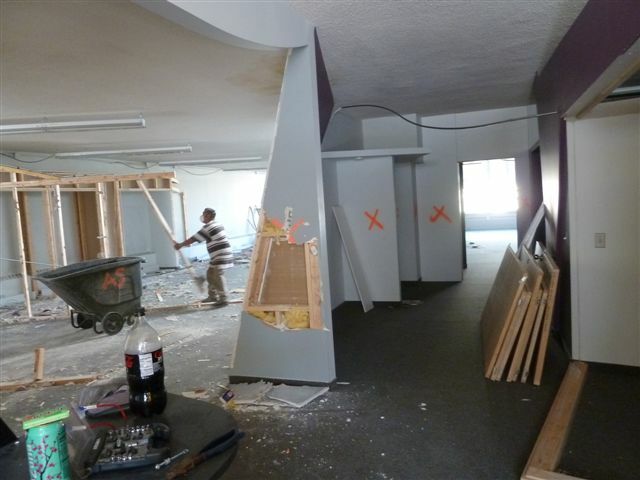 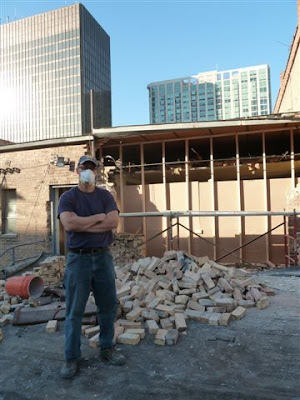 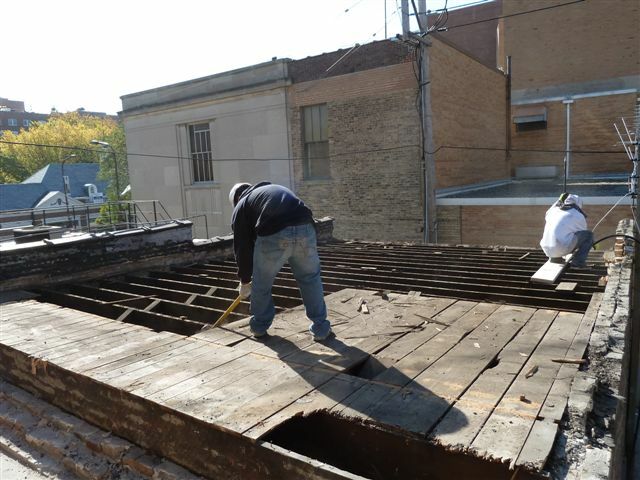 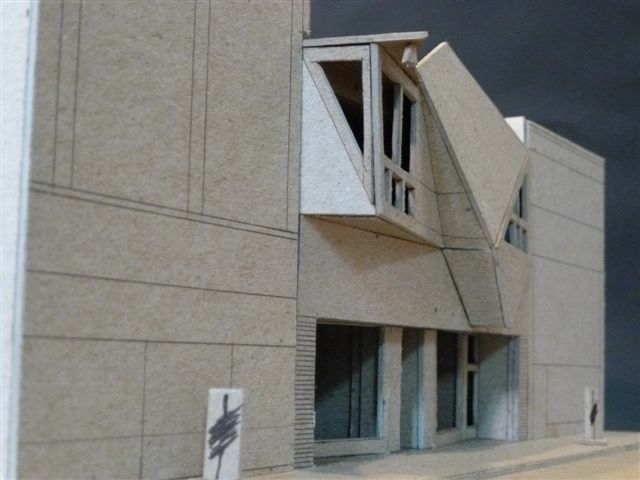 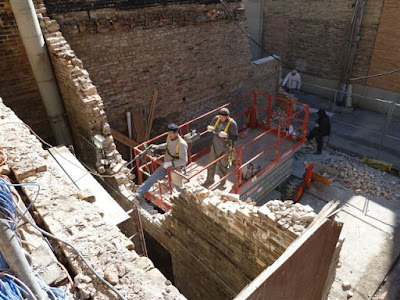 Matt and I started interior/exterior demolition at our current adaptive re-use project, 604-606 davis on 10.3.11. 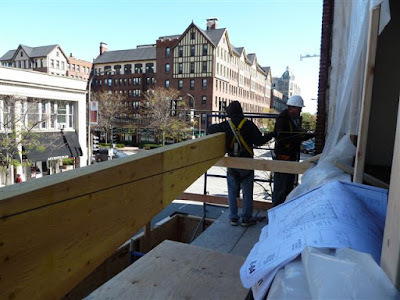 The construction site constraints require a meticulously designed schedule. At times, there have been 3 trades (masonry, concrete & carpentry) productively working in the 44’x38’ rear yard that receives the 2nd floor addition. 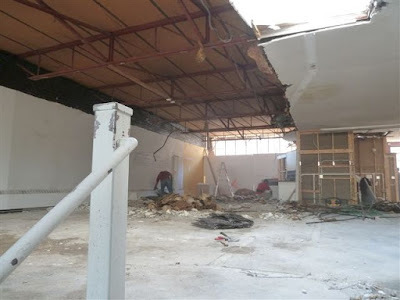 Demolition for this phase has been completed. 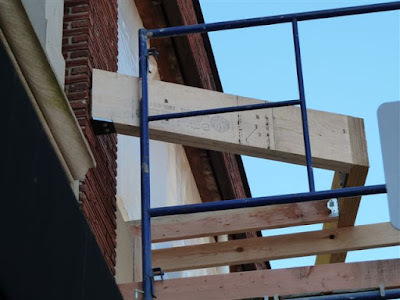 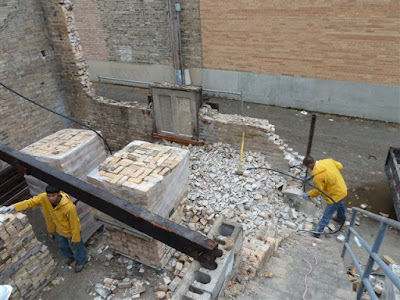 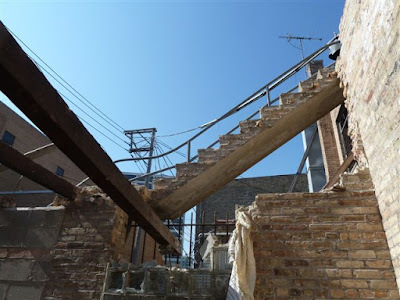 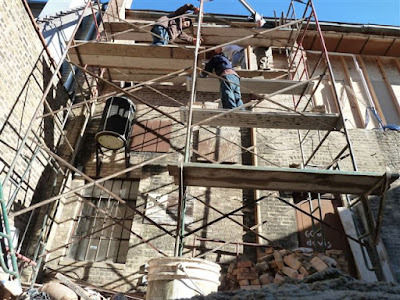 The masons will finish their “preparation” work this week; concrete pier installation is in process and will be followed by steel erection for the 2nd floor addition at the end of the week. 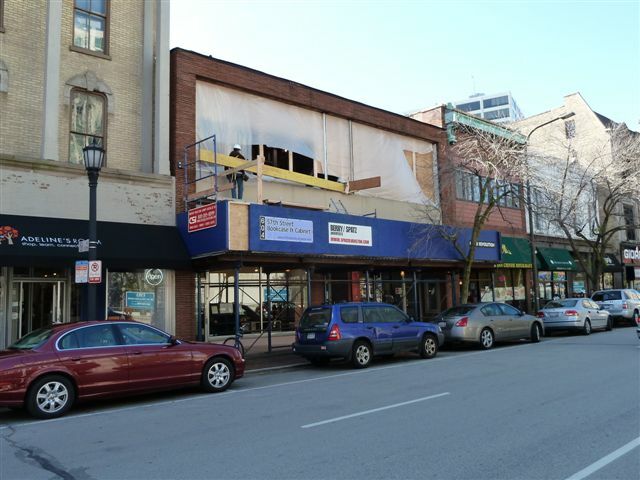 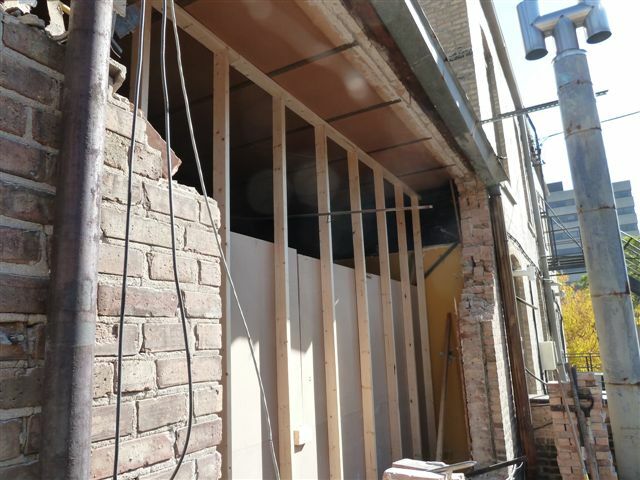 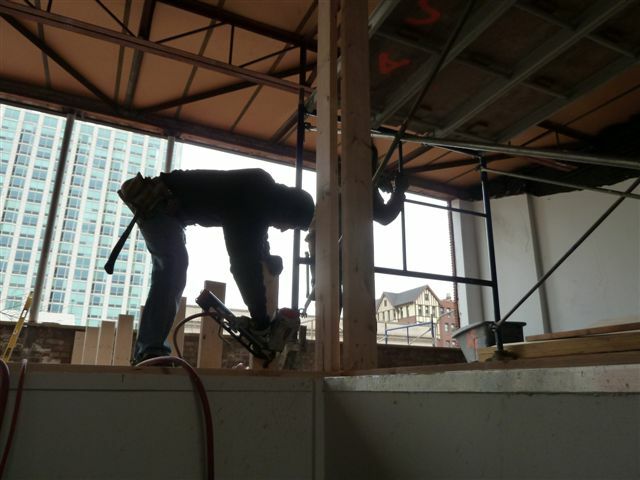 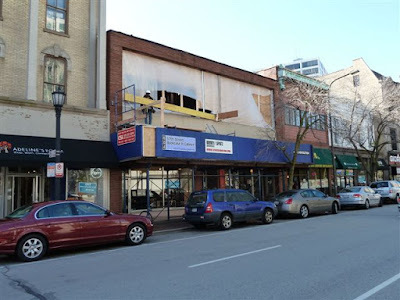 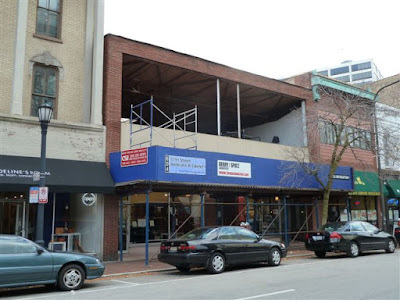 Our 2 carpentry crews will continue with their exterior work on davis street and interior partitions. Next week, 2nd floor addition framing will start. 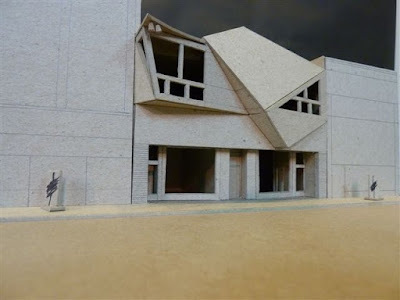 Our challenge (as with the “red church”) is to have the shell built and watertight before the weather turns. Project coordination is paramount…WINTER is coming. 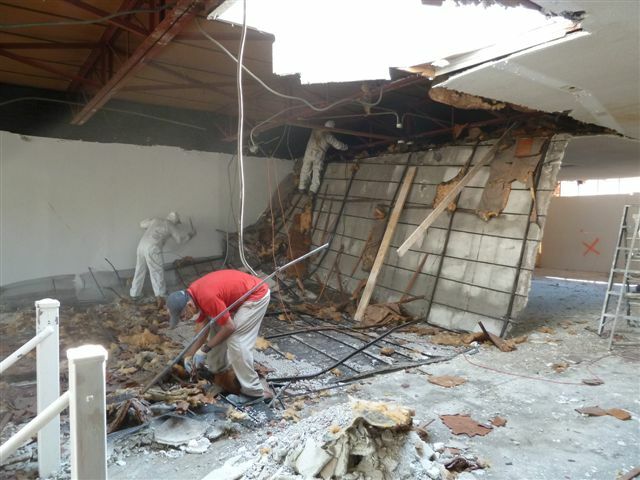 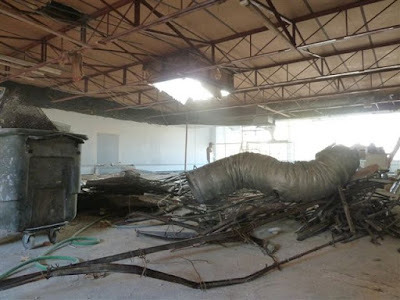 INTERIOR DEMOLITION: the metal lathe/plaster ceiling is “peeled”, lathe removedand then loaded Into a dumpster. 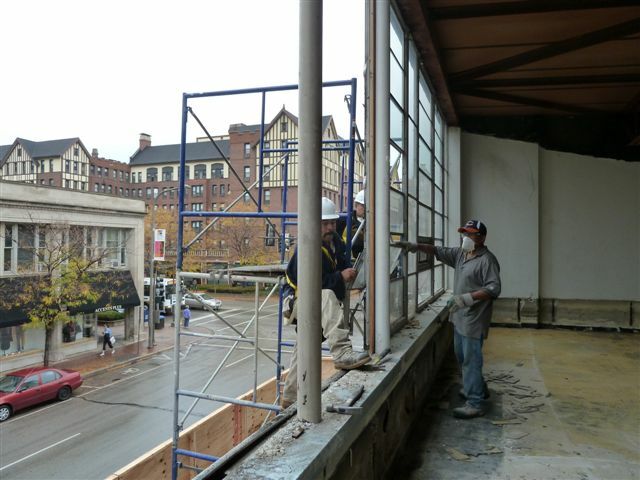 the metal is re-cycled. 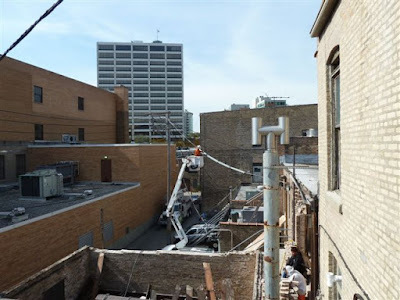 COMED: the existing 400A electrical service is being re-used. 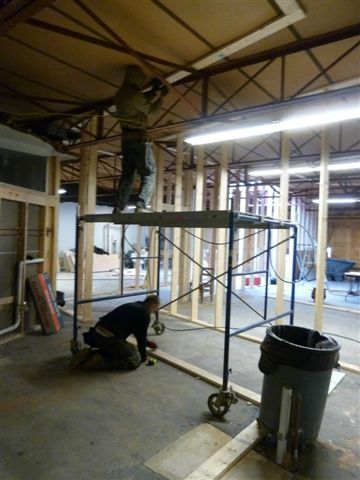 the service drop is wrapped by 4’ sections of rubber “boot” for safety.